Grass-fed Moo! Odor free Junior Twisted Bullys 5″-6″ made in Argentina. These are made from Grass-fed beef that received No antibiotic,No growth hormone in their life. 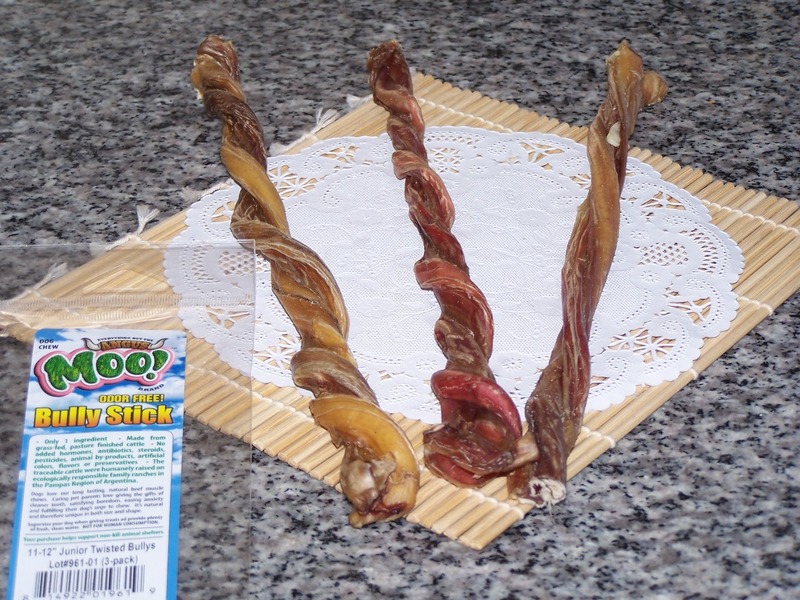 One Package contains 3 bully sticks. Due to natural treats,thickness of the each treats can vary. 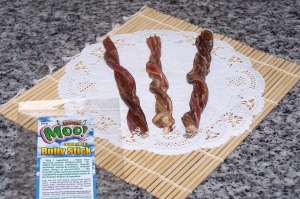 Grass-fed Moo!Odor Free Junior Twisted Bullys 11″-12″ made in Argentina. Please enjoy treat hunt for your furry friends!! Palette’s K9 Foodie Mystery Bag is the mystery bag that consists of all natural dog treats and toy. Each bag contains 4-6 products per bag and, shipping and handling is already included in the price.The shipping method will be determined by us. This offer is valid while supply lasts. These menu can be found under “Bulk treats of the month&Palette’s K9 Foodie Mystery bag” category. ** Selected Dog toys on sale.Please click here to visit Dog toys page. ** We ship the order on every Monday,Tuesday, every other Wednesday. ** If you order on Saturdays, you can get free GDK treats. For more information on Snack Saturday offer,please click here. ** Watch how much Palette enjoy her Buffalo Trachea strip below.If you are a blog subscriber,please click here to watch the video. ** We accept only US order,no international order please. **If you become a fan of our Facebook page,you can get “Fan only” offer,and discounts. Please find “Yassy’s Gourmet Dog Kitchen” on Facebook.